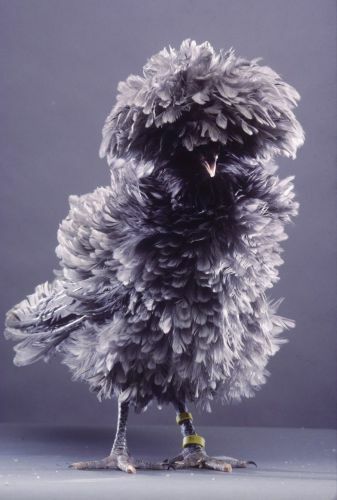 Dear chicken: You are an awesome-looking, fancy chicken, but that does not make you unique. Sorry. Imagine this situation: A lady selling her wares on a TV shopping channel tells you that she has a deal you can’t resist. It’s for a unique, one-of-a-kind porcelain Lady Diana doll. There are only ninety left, and one of these lovely dolls could be yours for the low price of blah-dee-blah and ninety-nine cents. Wait. Unique? How can the doll be unique if there are at least ninety of them? In this post, we’re going to learn the history of the word unique and its appropriate usage—and also why you should probably not waste your money on TV shopping channels. Looking at the first dictionary entry for unique, noted above, we can surmise that the word only applies to people, things, and ideas that are the one and only of their kind. For instance, a unique artifact means that there is no other artifact like it. It is the only one in the world. So, does unique mean one and only, or does it just mean unusual? As a copy editor, I will always recommend that a writer use a different word when they use unique to mean merely unusual. A single, and might I add fancy, word to mean one and only is a very useful descriptor. I would even go so far as to say that English needs a word like that. And unique fills that role. When people use unique for any unusual thing, it waters down the word and takes away the uniqueness of truly unique objects (or ideas or people, in some cases). Is it wrong to use unique willy-nilly? Like so many topics in the realm of word usage, it depends on whom you ask. If you ask Merriam Webster, and I imagine many linguists, you’d be likely to hear that since people are already using unique to mean unusual, there’s no stopping it. (This is called semantic bleaching.) So go ahead and use it as you wish. But if you were to ask me or other red ink-stained copy editors, you’d likely be asked to save unique for its original purpose, to describe something that is one of a kind. If you agree, as I do, to reserve unique for truly unique things, then you can’t describe something as being very unique or more unique. If something is the only one in existence, and thus unique, then there can’t be something else that is more “the only one in existence.” However, something can be somewhat unique if one aspect is one of a kind but others aren’t. Likewise, something can also be nearly unique. ← Abbreviations, acronyms, and initialisms, oh my! Unusual: strange, odd, curious, extraordinary, abnormal, bizarre, rare, uncommon. Those are all great alternatives to “unique.” You’re right–way to go you! Unique as ‘unusual’ is just hubris, bombast. Like so many things in our culture that once had meaning, the meaning (as you point out!) dilutes by over- and incorrect-usage until the word weakens and means less than it had. I think the reverse phenomenon is just as interesting — where a word preserves a very specific meaning in isolation to what had gone before. My favorite example of this is ‘disgruntled’. Removing the ‘dis’ we’d have to believe that at one point in time people routinely must have said they were ‘gruntled’ when they meant they were happy, or satisfied! I hadn’t really thought about “disgruntled” before. It turns out “gruntled” is a word meaning “to put in a good humor.” But it’s a back-formation from “disgruntle,” so that word came first. “Gruntled” didn’t come to life until the 1920s. Neat! Thanks for the comment, Benjamin. Really? I find it quite odd that a latinate prefix would attach to a root prior to the root itself having meaning. Come to think of it, though, ‘gruntled’ doesn’t sound very latin. Is the ‘dis’ formulation just a quizzically latin-looking bit of serendipity? It IS a useful term to have, for describing genuine one-of-a-kindness. That meaning has not been lost despite two centuries of modifying “unique” in degrees. Look at the corpus, and you’ll find it vigorously remains in place. One can easily tell from context is almost every case whether the writer or speaker means one of a kind, or nearly one of a kind, or sort of one of a kind. You can censure the usage all you want, but you’ve lost the battle. The word has been modified for as long as it has commonly been used in English. Both the original meaning and the extended meaning are used by most speakers and writers, who also understand each use within context. I’ll tell you what, I’m going to start using “gruntled.” Why not? Here, here! “Unique”is the only word in English that means “the one and only.” Therefore, it is unique. Thanks for doing your part to preserve the uniqeness of this great word. My 4th grade teacher, in 1974, told the class that this word is so misused that it lacks any meaning or impact, and suggested we not use it. Here’s the issue I have with this argument. EVERYTHING is unique. No two of anything are identical. Period. Name anything, I can find a reason to identify it as unique. Even if that “thing” isn’t unusual, it is still unique. And before you say, “You’re just being pedantic,” ask yourself…isn’t that what you are being when you say that unique cannot be modified? On the one hand you’re being a stickler of how it is used, but then on the other hand you are saying that in order to use it properly, you must ignore the distinctiveness of the items from which it is set apart in order to set one item apart as being unique. Consider this. The number of successful musicians in the world is small when compared to the population, or even–I would argue–even compared to the number of individuals who attempt to support themselves making music. For the sake of this example, “successful” means they made a recording which has received radio airplay. However, if I want to point out how distinctively different the music and persona of Laga Gaga is in comparison to these other musicians, I could go through the long explanation I just did–or I can say she is “very unique.” I have to, because the only way that I can use the word “unique” without the modifier is to ignore the unique aspects of the other musicians to whom I am making a comparison. So if I want to emphasize that something is not just different, but significantly different from the group to which it belongs, I believe “very unique” is appropriate.